Two years ago my wife saw TED talk about a couple from India. In their country, menstruation is a taboo topic, and children lack of education about it. So they made an educational comic book called Menstrupedia for distribution in schools. 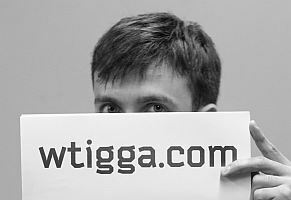 We decided to help them with pro-bono translation into Russian. I’ll briefly tell you how was it. We liked the topic, because in our schools sexual and hygienic topics are not very well taught. We contacted the authors and offered to help with the translation, they agreed. It took approximately 10 months from start to first print. This comic book were created in India, where life is so much different from what we have in Russia. We had to be creative to adapt it properly. Food in India is different, who would have thought! In one of the chapter, girls were recommended to eat certain vegetables and fruits, rich in certain vitamins and minerals. 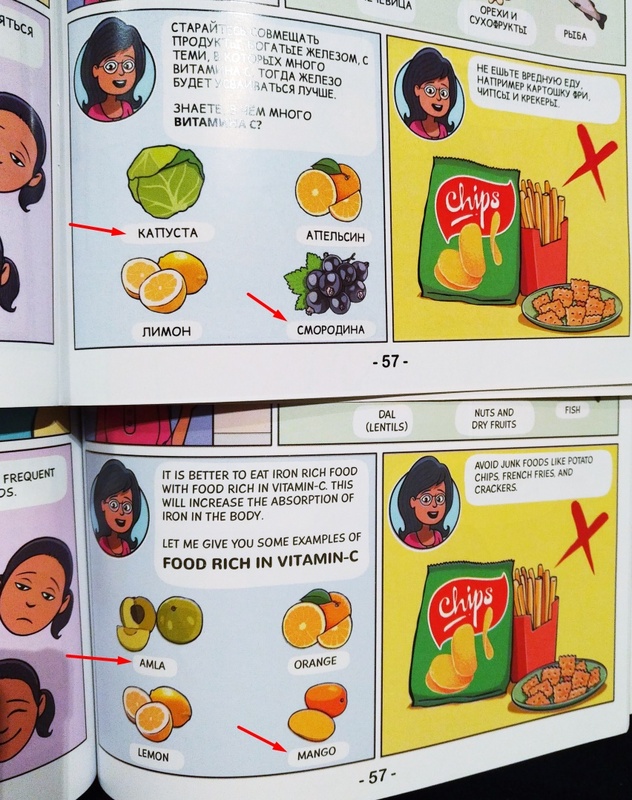 The authors of the comic was very responsive and listened to our recommendations: the amla and mango was replaced with cabbage blackcurrants, also rich in vitamin C.
In Russia it is easier to get a cabbage than a mango. Week in India, as in many Western countries, begins with the resurrection. Here we adjusted some illustrations as well. We asked to switch Sunday and Monday places. Two-wheeled transport is very common in India. We also renamed all main characters here. Of course, when reading it is clear that the action takes place not in Russia, so to call girls Masha, Dasha and Katya is not an option. On the other hand, the names of the “Lali”, “Jiya” and “Pinki” are rather strange. So we gave them the “common” foreign names that looks acceptable. 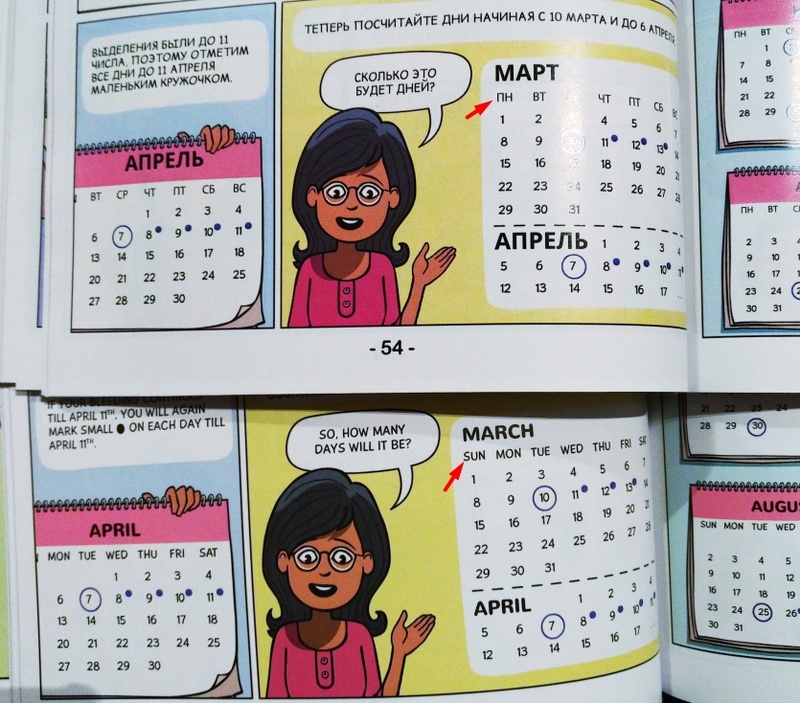 In Russia superstitions about menstruation are not as noticeable as in India, so we shortened the text a little. Unfortunately, the Russian version of the book is not on sale yet: the authors have some difficulties with logistics and/or printing. Anyway, me and my wife were able to receive two prints from the test batch. I gave one of the two to my sister. She seemed to like it. So it wasn’t in vain after all! Download of ebook is also not available right now. I will let you know as soon as they make it available. P.S. We used OmegaT to translate the book. It helped a lot with consistency and overall translation speed.